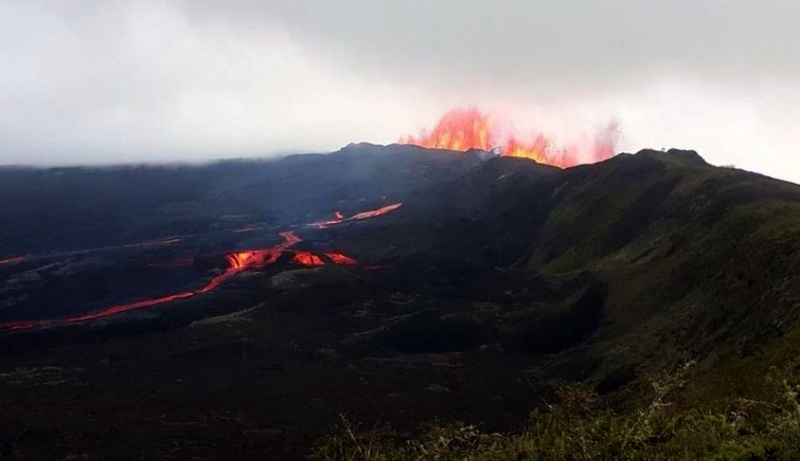 Following a rise in seismicity in the last months, and a major M4.6 earthquakes yesterday, the Sierra Negra volcano / Isabela Island in the Galapagos started erupting on June 26 around 1pm. 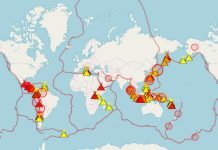 It was preceded by a seismic swarm with earthquakes characterized by a depth between 3 and 5 km below the volcano and magnitudes up to M4.6. 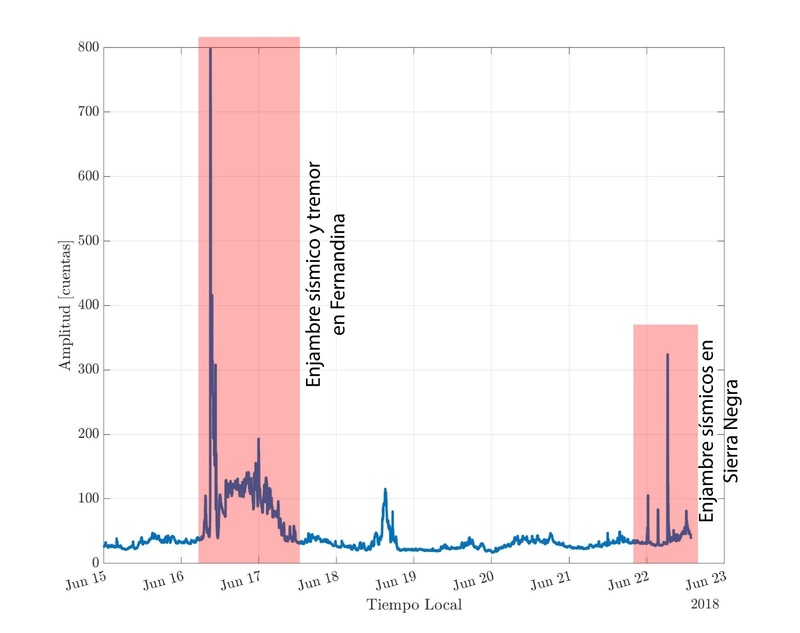 Sierra Negra – Increased Seismicity in June on Fernandina and Sierra Negra volcanoes – Image by IGEPN / VCH1 station located on the NE edge of the Sierra Negra caldera. 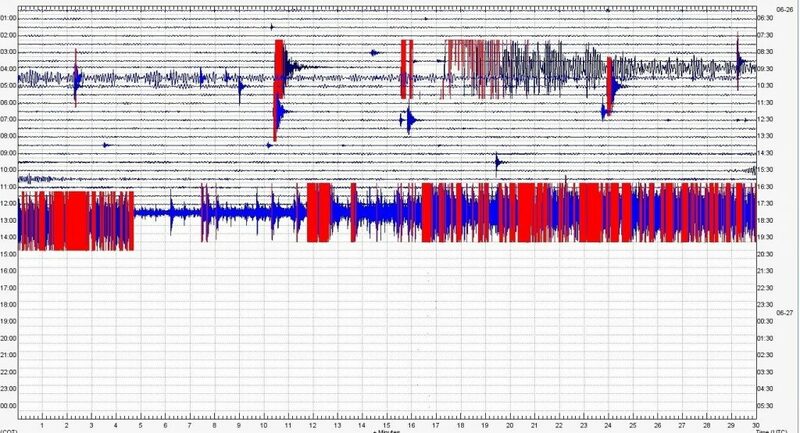 Since a M4.2 at 13:38 TG, the amplitude of seismicity and infrasonic signals have greatly increased. 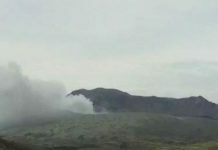 Galapagos National Park staff report rumbles coming from the Chico volcano (the other name of Sierra Negra), suggesting the beginning of the eruption. 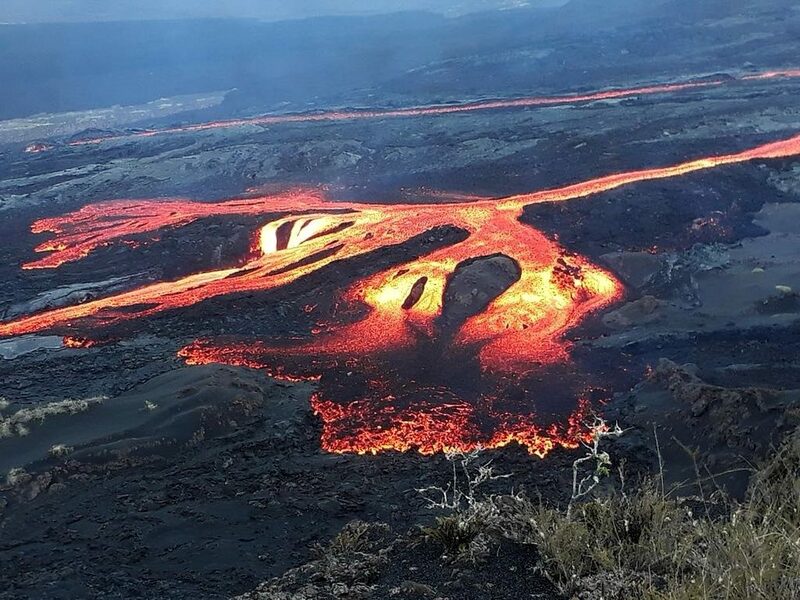 According to park rangers, lava flows inside the caldera and on the northern flank of the volcano towards Bahia Elizabeth. Isabela Island is populated. Authorities have ordered the evacuation of 50 residents. 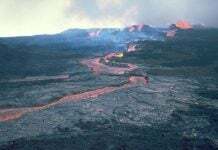 Tourist access to Sierra Negra volcano and to El Cura area hs been restricted. 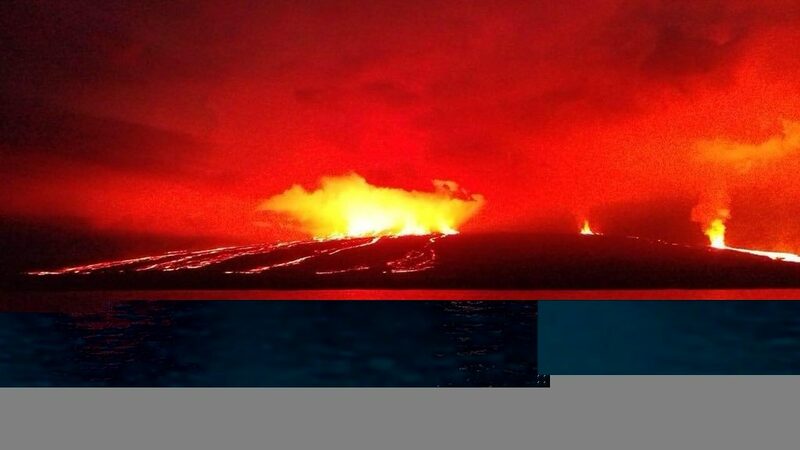 This is the second eruption in the Galapagos islands in 10 days after the nearby La Cumbre volcano / Fernandina Island erupted on June 16, 2018. 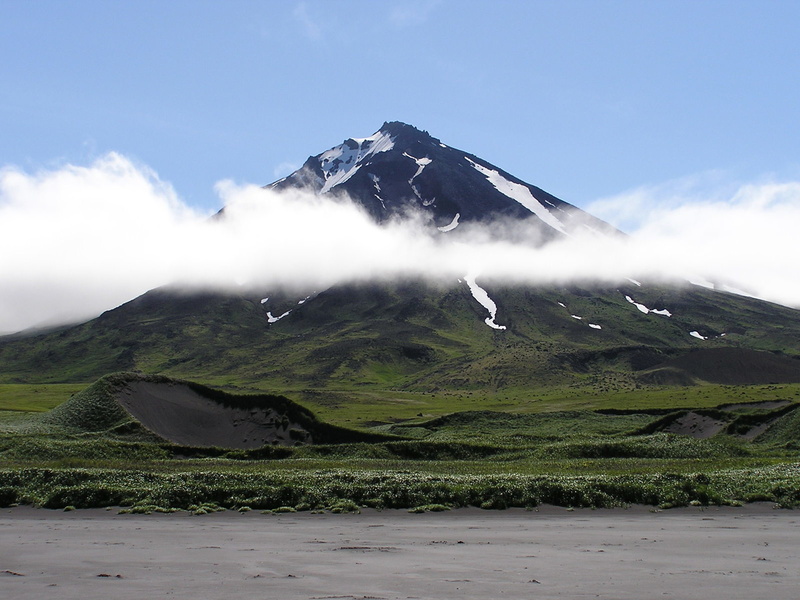 Unrest continues at Cleveland Volcano and a lava flow about 80 meters (260 feet) in diameter on the floor of the summit crater was observed in satellite data on June 25, 2018. 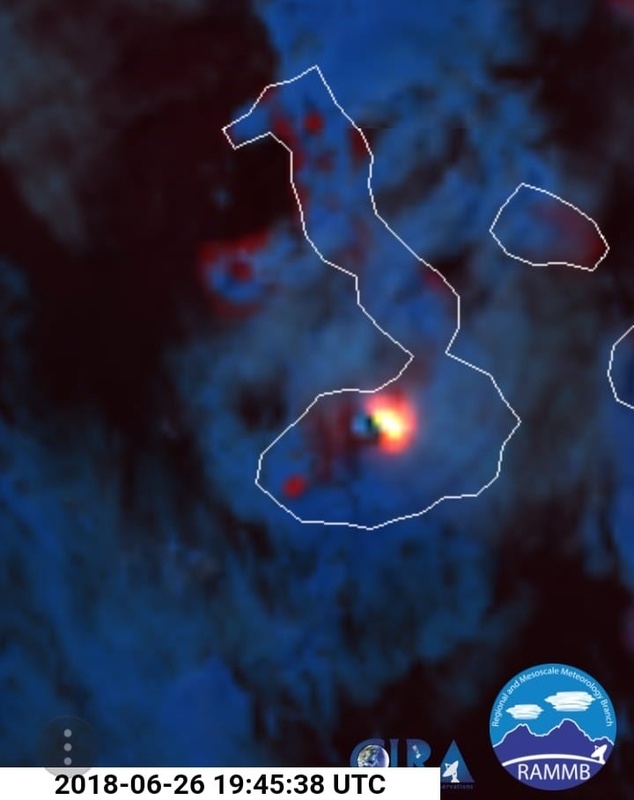 A possible steam emission was observed in satellite data at 0:48 UTC, June 26, 2018 that may be related to the effusion of lava in the crater. No other activity was observed in mostly cloudy satellite images over the past day. AVO is experiencing problems with data transmission from the volcano and seismic and infrasound data are temporarily unavailable. 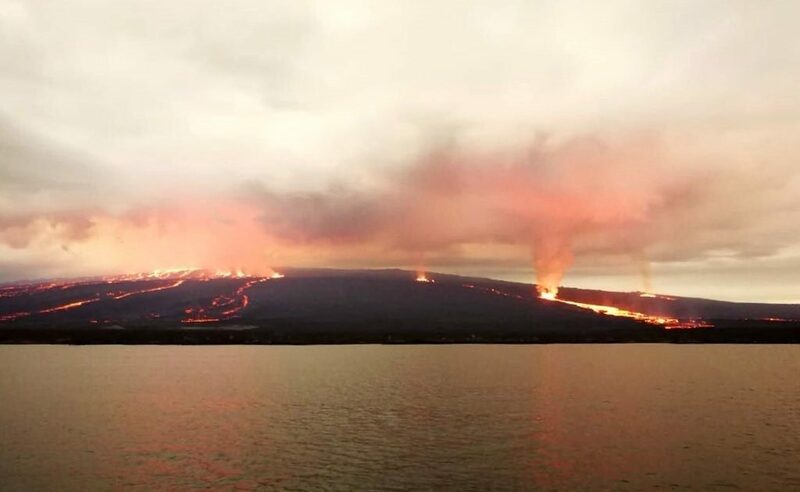 The presence of a lava flow over the active vent increases the possibility of an explosion over the coming days to weeks and thus AVO raised the Aviation Color Code and Volcano Alert Level to ORANGE/WATCH earlier today. The AVO has raised volcanic alert levels to Watch, and the aviation code to Orange.